Advanced group work methods are an essential part of the Forest Academy. Photo: Erkki Oksanen. The Forest Academy communication concept and programme is produced by the Finnish Forest Association. It is a non-governmental, non-profit cooperation and communication body joining all major forest-related interests in Finland. In Finland, the Forest Academy communication programme has been running successfully since 1996. Participants are personally invited by the letter signed by the Prime Minister. Since 1996, The Finnish Forest Association has organized 45 forums and so far over 1 400 decision makers, most of them acting outside the forest sector, have participated in them. 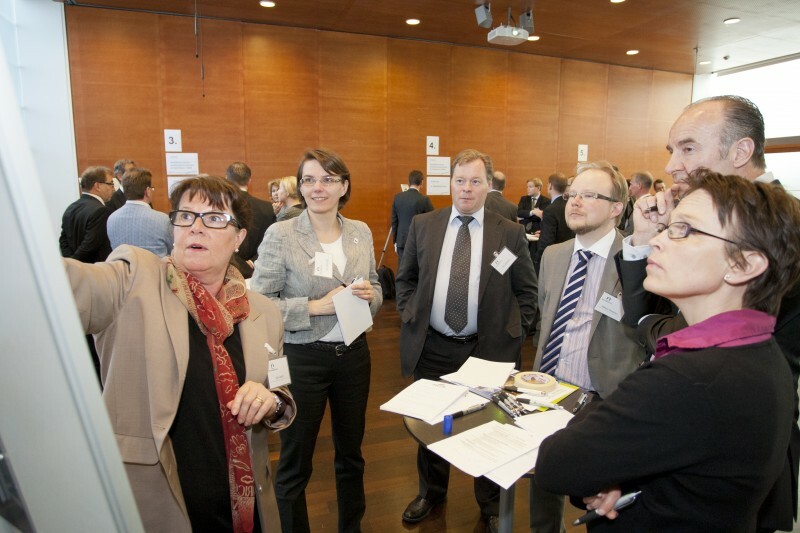 The Finnish Forest Association also annually invites the members of the network to events and communicates through the website, emails, newsletters an the Forest Academy -blog. Forest Academy for Decision-Makers has received several valued acknowledgements from Finnish forest sector organizations. The Forest Academy communication programme has been made into a communication concept by the name of “Forest Academy – Programme for Increasing Dialogue on Forest in Society”. The concept is based not only on the experiences gathered from the Finnish Forest Academy but especially on experiences from four international Forest Academy Finland -forums, organized during 2003 and 2004 and targeted at forest-related decision makers in new EU member countries. 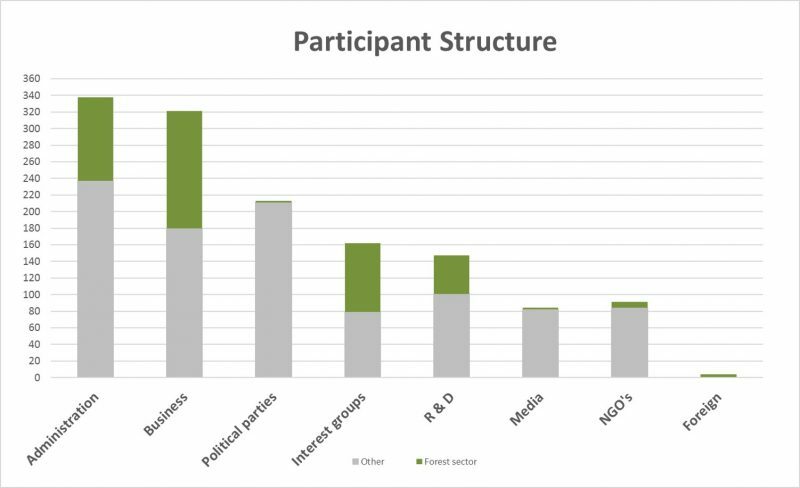 The Finnish Forest Association has also carried out various other international forums targeted at decision makers, the last one being the Forest Academy for EU Decision Makers, organized in Southern Finland in Nobember 2018. Read more about the project. The Forest Academy communication program can be customized to meet different national conditions and topics. The program format has been sold to Latvia, Tanzania (UONGOZI Institute), Costa Rica (CATIE) and Mozambique (E. Mondlane University). Read more about “Finnish Forest Academy goes Mozambique”. Background of the particpants of the Finnish Forest Academy in 1996-2017.